(CPI-U) rose 1.3 percent, and the average pre-tax income per household increased 7.2 percent to $74,664. The amount of money we spent on health care rose by 6.2 percent. The main reason for this was an increase in health insurance costs, which rose by 6.1 percent. According to the US government, almost $1 in every $5 spent in the United States by the year 2024 will be directed towards health. By the year 2024, national health expenditures are predicted to reach $5.43 trillion, yearly. Almost half of that spending (47%) will be paid for by federal, state or local governments, primarily through the Medicare and Medicaid health coverage programs. The question to ask is why are we spending so much on health care? Why are our bodies “betraying” us in such ways that so much health care is needed? As stated by Desiderius Erasmus Roterodamus “Prevention is Better Than Cure.” Is it not better to look at what we are doing to ourselves to make sure we don’t sabotage our health on a daily basis? There are many healthy nutrients, vitamins, and minerals that you should make sure to include in your daily diet. Omega-3 fatty acids are one of these nutrients, and usually not something you will come across in fast food. Omega-3 fatty acids have many benefits. They are a type of unsaturated fatty acid that has been said to reduce inflammation. Inflammation of the body can damage your blood vessels and this then leads to heart disease and strokes. Omega-3 fatty acids have also been said to reduce irregular heartbeats, decrease triglycerides, reduce blood clotting, lower blood pressure slightly, decrease stroke and heart failure risk. Eating at least one to two servings a week of fish rich in Omega-3 fatty acids appears to reduce the risk of heart disease, particularly sudden cardiac deaths. Where To Get Omega-3 Fatty Acids? The easiest way to obtain Omega-3s is from fish. Fatty fish, such as mackerel, herring, salmon, lake trout, sardines, and tuna, contain the most Omega-3 fatty acids and therefore are the most beneficial. This is great to know but also know that many types of seafood contain small amounts of Omega-3 fatty acids so you can include just about any fish in your diet for some added benefit. When it is not easy or very affordable to buy Omega-3 rich foods, or you don’t like the taste of fish, another affordable and maybe more desirable option is to ingest Omega-3 supplements. The ideal supplement should contain a high ratio of both EPA (eicosapentaenoic acid) and DHA (docosahexaenoic acid) plus other Omega-3 fatty acids. When choosing an Omega-3 product, it is important to choose from a reputable manufacturer. There is a wonderful Omega-3 supplement on the market with exactly the correct ratios of Omega-3 fatty acids. It is not always easy to find such a highly concentrated Omega-3 supplement dense in these fatty acids. Read this Research Verified review to learn more! How Are We Destroying Our Health? We are no longer paying attention to what we eat and following a healthy eating plan.Our consumption of junk food is at an all-time high. According to Partners For Your Health, the average American spends an estimated $1,200 on fast food every year. Children consume an estimated 12% of their calories from fast food. 20% of all American meals are eaten in the car and the drive-through and fast food restaurants have become frequent places to eat. So What Exactly Is “Fast Food”? Fast food is mass-produced food that is prepared and served very quickly. The food typically has less nutritional value compared to other foods and dishes. Whilst any meal prepared very quickly can be considered fast food, typically the term refers to food sold in a restaurant or store with preheated or precooked ingredients, and served to customers in a packaged form for take-out. Due to franchising, there are more fast food restaurants out there than “normal” restaurants. Many people find fast food restaurants very convenient, particularly with our busy lifestyles, because they offer drive-through options and “food-on-the-run”. And even when they don’t, you get food served very quickly without needing to think about what to prepare in your own kitchen. According to Centers for Disease Control and Prevention, about 610,000 people die from heart attacks each year in the United States. This is a phenomenally high ratio of 1 in every 4 deaths per year linked to heart disease. Furthermore, approximately 735,000 Americans experience non-fatal heart attacks each year, with 525,000 of these being first time heart attacks while 210,000 cases are related to people who have already experienced a heart attack. 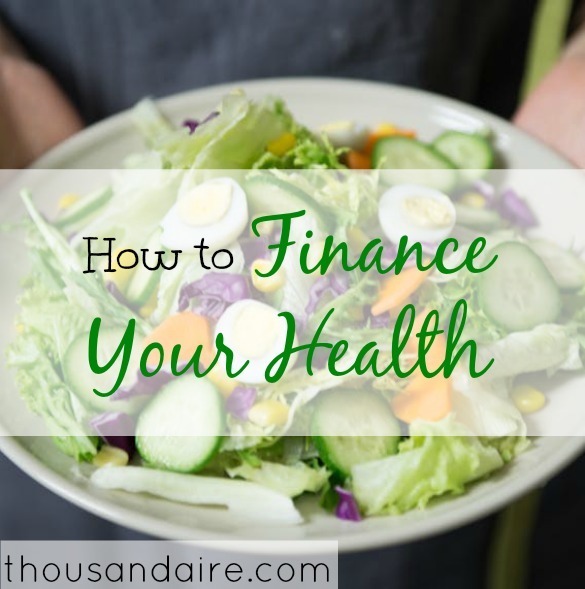 In essence, the best way to finance your health is to take on healthier eating habits, exercise and take supplements that protect your health. This should protect you from spending the estimated millions on treatments, doctors’ visits, and hospital procedures. Some things are easier to prevent than to cure!